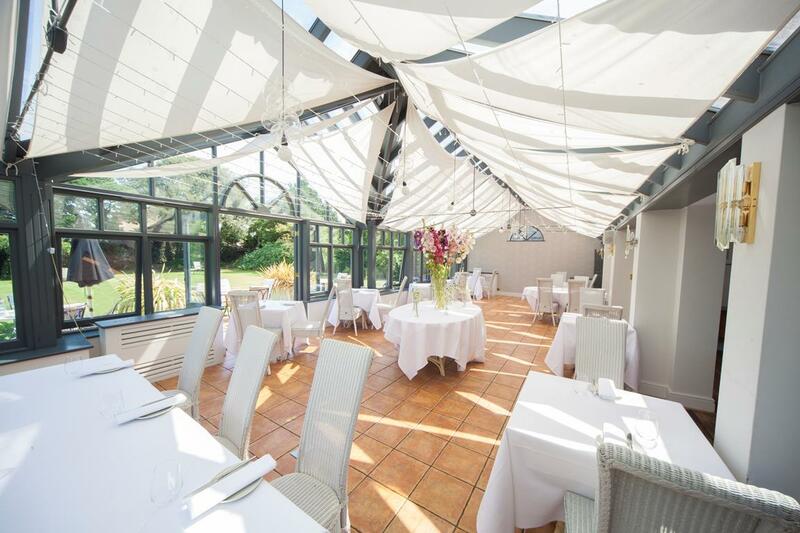 With views overlooking the walled garden, the light and airy Conservatory provides a more formal setting for dining. Perfect for special occasions, this is a place to enjoy modern European cuisine that reflects the kitchen’s flair for award-winning food. The British favourite - a traditional roast - is available every Sunday from 1.00 – 3.00pm. With bold design and a terrace that floods the area with light, the Eating Rooms offer relaxed and informal dining. The tranquil feel is further reflected in the food, with a modern tapas menu taking influence from both Europe and Britain as well as traditional, simple dishes executed with individual thought and style, and the restaurant-style dishes that Eric has become well known for. Rooms 30 and 31 tired but in a lovely quiet location. The beds were very hard and the pillows too soft and flat. On the second day one of the rooms was not made up. Cannot fault the service from the staff who were very attentive. Breakfast was beautiful with a lovely selection of continental and excellent cooked breakfast. The hotel was very quiet during the week so not much atmosphere, food in the evenings  was beautiful though we had to send back the cheese course which inedible. My husband also remarked that the treacle tart he had was bone dry and tasteless. The conservatory was a beautiful room to eat in. The grounds are in the main well kept though there were spades on the roof of the summer house  which remained there all week as did some litter in one of the flower beds. 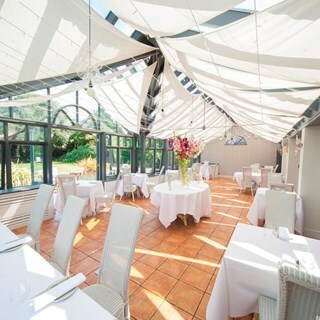 We had a lovely Mother’s Day lunch in the relaxing and beautiful conservatory dining room. Staff were excellent, the appropriate balance of friendly professional service and attention. Food was wonderful, really spoilt with the starters, all three courses of high quality and presentation. We have already rebooked and then saving up for a stop over night or two. Highly recommended, treat yourself, loved ones and friends to lunch... followed by a stroll on the beach, just fab. Good food and service though not a huge choice. Thought sides were quite expensive especially as main course portions are quite small...but flavors were good. A very friendly atmosphere and great service. A relaxed, quality experience is how I would describe my 3 night stay at Titchwell Manor. We had a great time and will definitely be back! The dogs also had a ball. THANK YOU ALL SO MUCH! A most enjoyable stay. The staff were all very friendly and efficient. Our meals were excellent. Interesting food presented in imaginative ways. Excellent staff who were friendly and professional. Amazing weekend at beautiful Titchwell Manor. It was my husbands birthday & we were treated like royalty with a room upgrade, birthday cake at dinner & the most attentive service from all of the friendly staff. We were due to eat out on the 2nd night but cancelled & dined in as the food had been so wonderful on the first night  The quality & choice of the food for dinner & breakfast was second to none, thank you ! The staff were second to none, they were attentive but not over bearing were extremely helpful. The accommodation was very clean and comfortable and excellent for a disabled person. The food was stunning to look at but I found some not as tasty as it could have been then some so delicious.... like the pig cheek starter, AMAZING. The fillet steak was cooked to perfection but the bed of mushrooms let it done as they were quite bland. However it was quite the best place I have stayed in. We thoroughly enjoyed our all too brief stay. The hotel is full of character in a delightful location.Made to feel so welcome by the very pleasant and obliging staff. Very comfortable rooms with all the facilities provided. We thought  the food was absolutely outstanding, prepared and served with thought and great style. Fantastic meal really delicious. The serving staff couldn’t have been more friendly and welcoming. Our dog was allowed with us as well who also got a lot of attention. Warm and welcoming from the moment we crossed the threshold 'til we finally left, full but not stuffed and still discussing how superb the food was. It was surprisingly quiet for a Saturday night - but I think that's down to the specific time of year and the weather (Mid-ish March, with a blast of winter-returned in the wind). The service was attentive but not overbearing; a fine line on a quiet night. And the food was beyond excellent. Way beyond. from the moment we arrived to the moment we checked-out (and after!) the service was impeccable. Very enjoyable 2 night stay, service and food excellent made all the better by glorious weather. Lovely stay. Food, room and service excellent. Staff very friendly and helpful. Sunday lunch made extra special. The guitarist was a lovely idea and the orangery setting was beautiful. Gorgeous food with a relaxed atmosphere. Everything about our stay was of the highest quality, a relaxing break in a very well-appointed room, with delicious food in the evening and for breakfast. Please see comments sent on previous feedback.